We destroy all data passed to us safely and securely. Any erasable functioning media is wiped using a multipass binary overwipe. Any non-functioning or non-erasable media is physically destroyed. Whichever method is used, the data is completely and irretrievably eradicated. Our destruction process meets or exceeds many internationally recognised standards including the Communications Electronics Security Group (CESG) Commercial Product Assurance (CPA), NATO CONFIDENTIAL, NATO RESTRICTED, NATO SECRET and COSMIC TOP SECRET, Defence INFOSEC Product Co-Operation Group UK (DIPCOG) and exceeding standards provided by the USA Department of Defense. A data destruction certificate is provided at the end of the process. A general certificate covering the list of equipment processed, stating all data passed to us has been destroyed. A detailed certificate comprising lists of asset tags or serial numbers provided by the data erasure software certified to exceed the standards listed above. Our standard service is free of charge, the premium service is £6 per item. (an item is considered as any data carrying media including discs, data tapes, mobile phones, usb keys, flash memory, etc). If you have items you don’t need wiped or destroyed please let us know. Tech Recycle use Tabernus Enterprise Erase to ensure the highest standards when handling and eradicating data. Data erasure specialists at Tabernus thrive on providing customers with the highest quality products. As a result, Tabernus has obtained an array of certifications and approvals globally to endorse these principals. Tabernus Enterprise Erase version v7.0 is certified by the Communications Electronics Security Group (CESG) Commercial Product Assurance (CPA). Commercial Product Assurance CPA) certifies commercial security products for use by government, the wider public sector and industry. At present Tabernus is the only company within the commercial data erasure industry to hold this certification. Tabernus Enterprise Erase V7.0 Software is approved by the North Atlantic Treaty Organisation (NATO).This latest certification indicates that Tabernus Enterprise Erase V7.0 sanitises all data on a hard disk up to and including NATO CONFIDENTIAL, NATO RESTRICTED, NATO SECRET and COSMIC TOP SECRET protective markings. 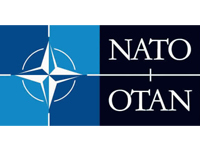 NATO certifies products and services as being suitable for use specifically by the Military and Government organisations within its member countries.This latest certification supersedes Tabernus NATO Approval V5.3 of 2012. Tabernus Enterprise Erase 5.3 Software is approved by the Defence INFOSEC Product Co-Operation Group UK (DIPCOG). DIPCOG is a UK Ministry of Defence forum run by a committee composed by representatives primarily from the MoD and CESG. DIPCOG approves products and services as being suitable for use specifically by the MoD. Tabernus Enterprise Erase v5.3 is approved by Norwegian National Security Authority. 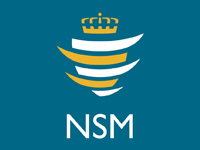 NSM is a cross-sectoral professional and supervisory authority within the protective security services in Norway. 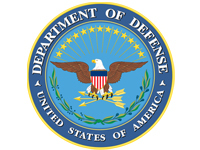 Tabernus is approved by the USA Department of Defense (DOD). Tabernus received this approval from meeting and exceeding standards provided by the USA Department of Defense.